If it’s not my friend that sent me a text yesterday, perhaps I won’t be visiting this place. 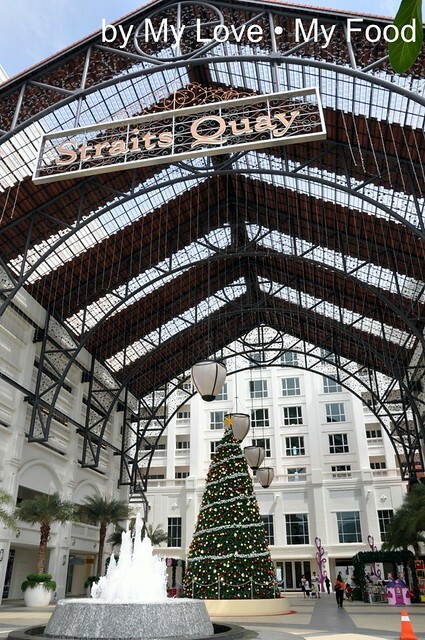 A mall by the sea – Straits Quay. My 1st time stepped foot into this place, immediately it was a love at first sight kind of feeling, I like the colonial design, and also the pleasant feeling it gives me. It was a pleasant surprise that we have in this place. Not to mention is around the corner for Christmas, but it’s something that any Penangite would proud of this piece of ‘art’. While strolling around, we were excited to see so many food and beverages outlets down here, and we told ourselves, we will surely visit this place more often. Bella Marino was our first outlet to try out while others were under some renovation. I was told there are many more outlets to check out, apart from Dome, Blue Reef, Starbucks and so on. 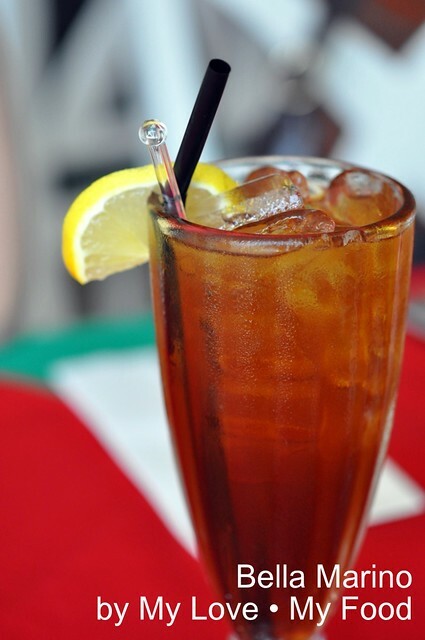 Anyway, after a quiet days and weeks, am going to start off with this simple post, at least am not completely out of the blogging world, but just too busy and too loaded with work. 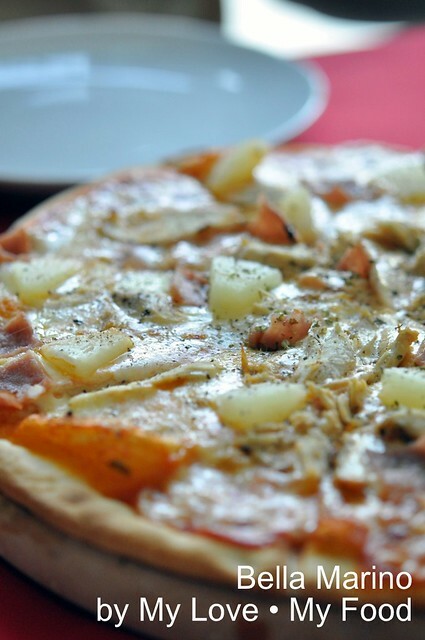 When you down in such place, you would not go wrong with pizza and pasta… and that’s what exactly we had this afternoon. 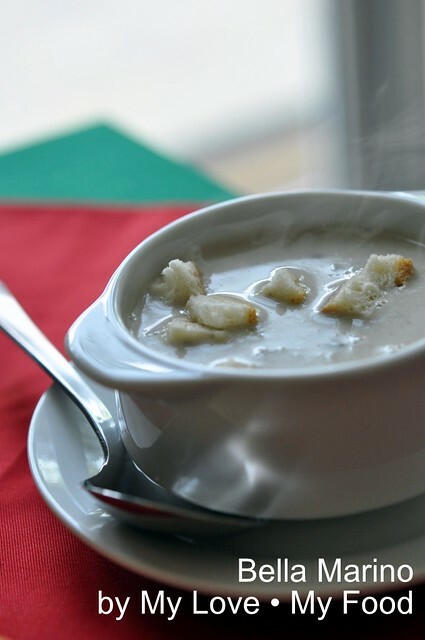 Le Zuppa (Soup) – a home made fresh cream of mushroom soup that starts with today’s lunch, RM12-80. 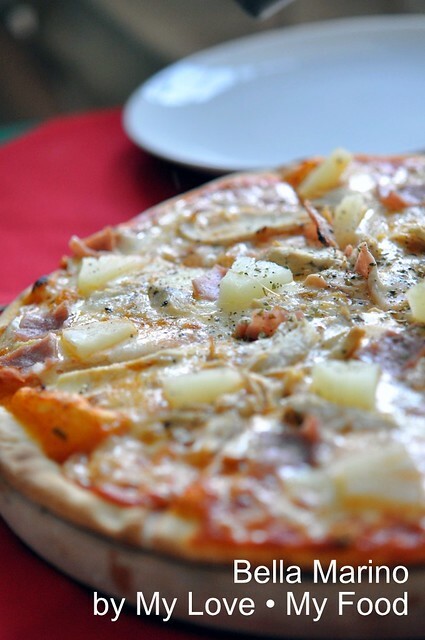 Followed by Le Pizze (Pizza) - Pizza Con Pollo that has roasted chicken meat, turkey ham and pineapple as topping, RM26-90. 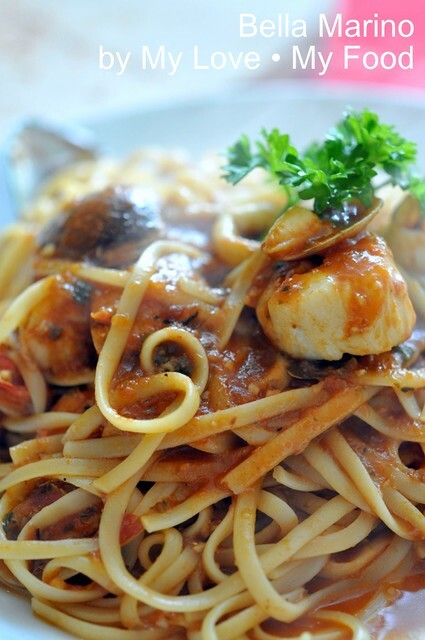 Le Paste (Pasta) – Linguine Marinara was my choice, the fine strands of flat pasta cooked in tomato sauce with assorted seafood, RM31-00. 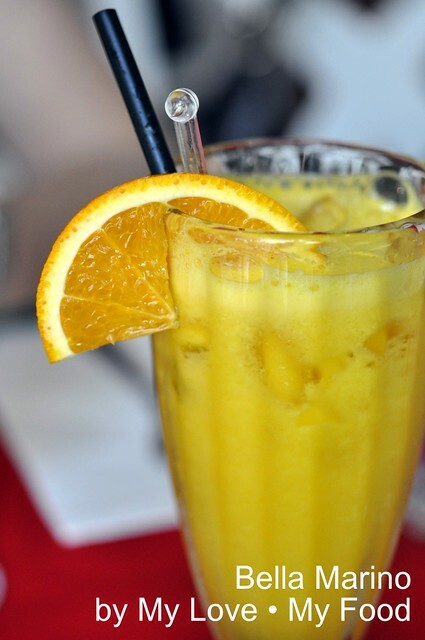 Added Iced Lemon Tea RM6-50 and Freshly Squeezed Orange Juice RM6-50 for the lunch for two. 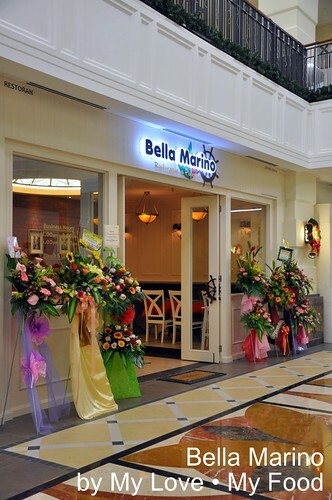 Currently Bella Marino is having a opening promotion, if you dine in there will entitle for 10% discount. Come 1st December 2010 will have new menu as well. Note: Snacks in between hours. After hours al fresco casual wine drinking, also cater for take-aways. OMG .... 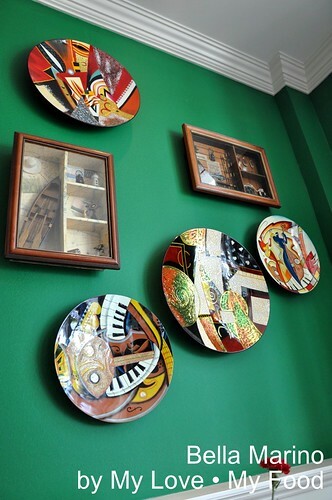 I love this place ... it is so artistic. 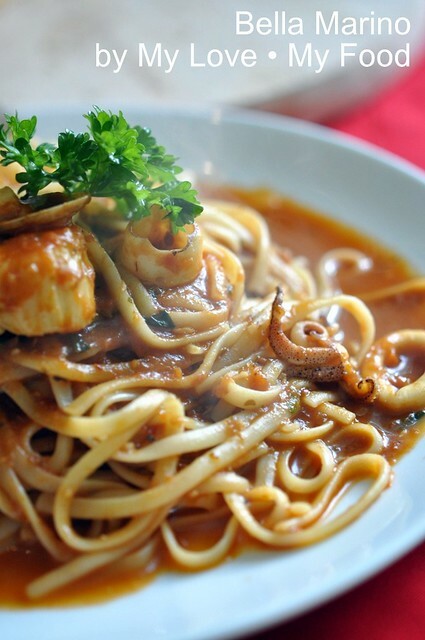 Added to my hit list for upcoming Penang trip. Thanks for sharing the review of this new restaurant. Straits Quay sure is another great place for Penangites. Furthermore you FREE links from us. No obligations! Place looks lovely. Sudden bloom of malls in Pg. The pizza and pasta looks superb!!! Hi Ken, nice place indeed! Hi Little Inbox, more F&B outlets for this mall. Hi CK, you are right. Hope you have some good time down there. Hi Choi Yen, unbelievable Penang has such nice mall right? How I wish we have more of such! Hi Buzzingbee, yup... a sudden boom! Hi Babe_KL, same to you and your family too!!! I have just been to this Bella Marion place and believe me, it is simply amazing. 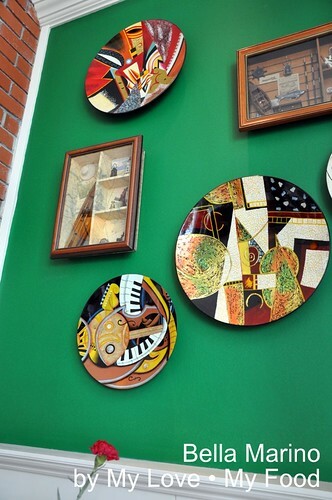 Yes, I am talking about the food and the whole ambience of the place. 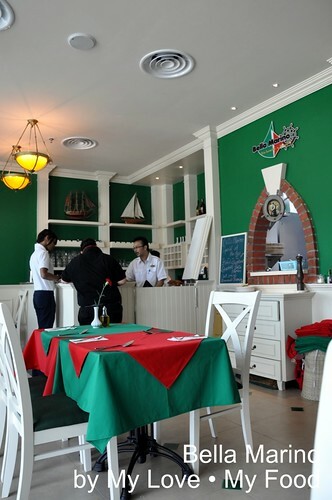 For those who are crazy about Italian food, this place is simply a dream come true! Being in Penang, forgive me fellow Penangites, western cuisine is just not one of our strengths but this place just proves me wrong. I would definitley recommend this. And believe me, I am not alone in this. The evening crowd is just insane. Go try it out during lunchtime. It's quieter and food is served at a quicker pace - not that it's not worth waiting that long! I managed to talk to one of the owners and I was told that everything that comes out of their kitchen is made by the order - nothing is pre-cooked! And believe it or not, nothing frozen i.e. everything comes fresh from the market on that very same day. No wonder they could maintain the freshness in their food. without purchasing ezivoucher, this restaurant is pretty expensive but their food is really tip top. Hey there, I agree that if we don't have the ezivoucher, it's really a bit on the high end side. In fact, I was the only table during the entire lunch!